A beautiful, hand-crafted choker designed and made by Julian Stephens as part of the Abbey collection. 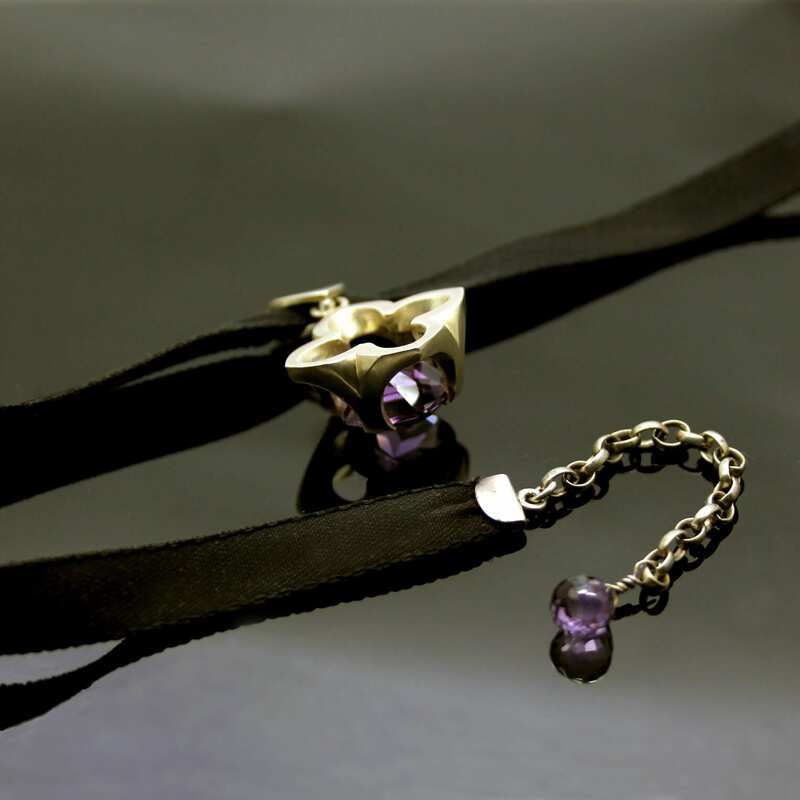 The “Abbey Window” pendant is influenced by Gothic architectural detail and this stunning solid 925 Sterling Silver setting perfectly hints at this source of inspiration providing a stunning claw setting for a gorgeous cushion cut Amethyst. 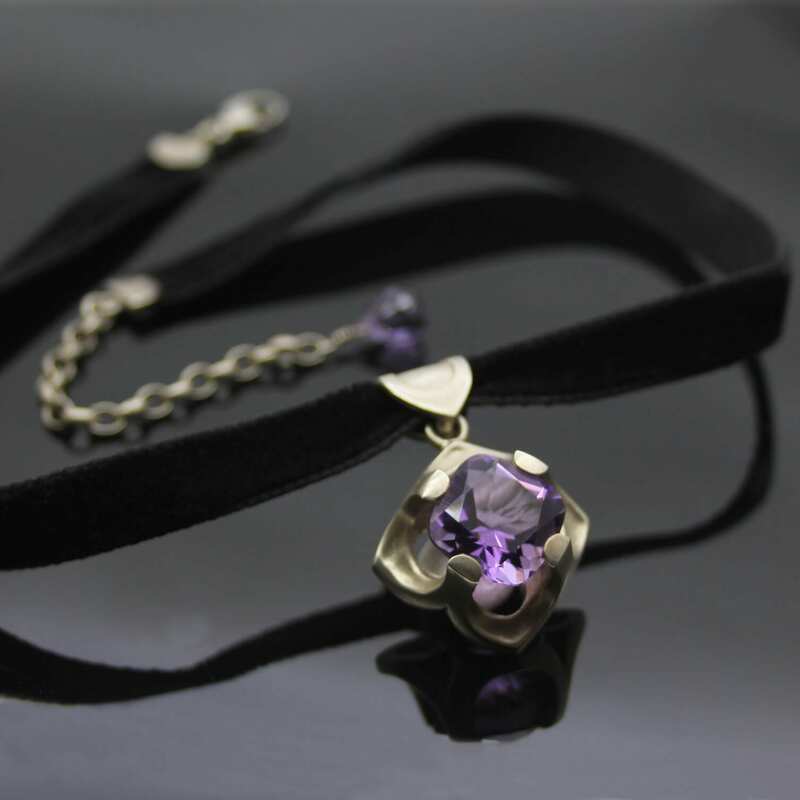 Finished with a sumptuous black velvet choker and adorned with a sterling silver adjuster to offer a versatile and easy fit. 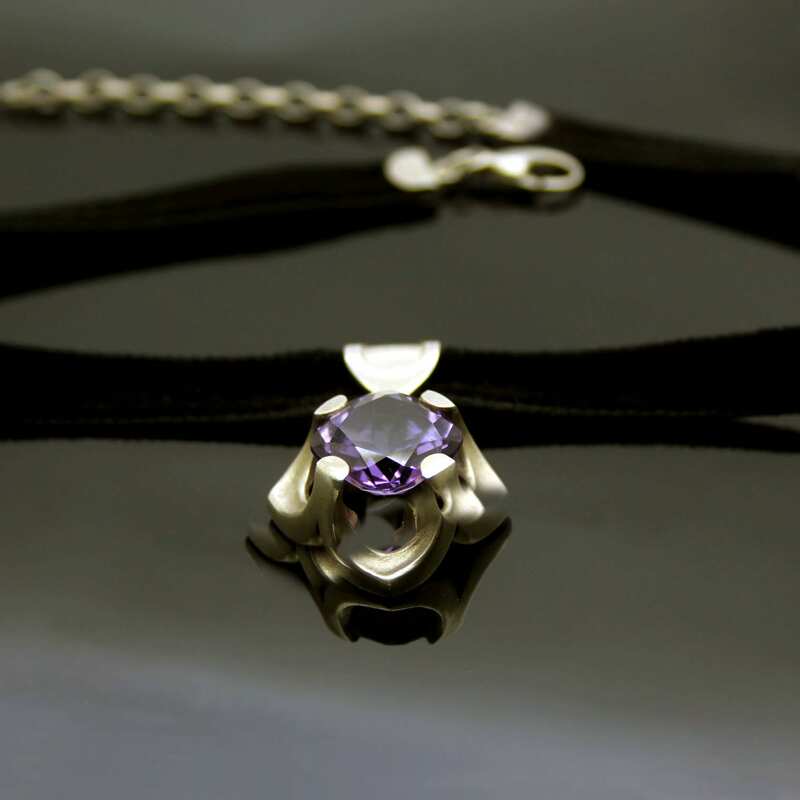 The solid silver adjuster is finished with a gorgeous Briolette cut Amethyst, suspended on the end of the chain as a glorious finishing detail ensuring this piece looks perfect from every angle.